You can hold Dell Micro Form Factor 3050 in one hand. 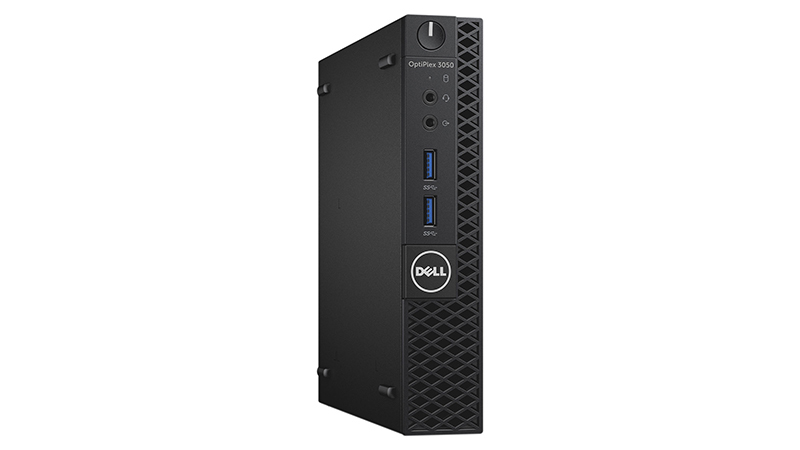 A compact, energy efficient desktop with versatile deployment and custom mounting options. 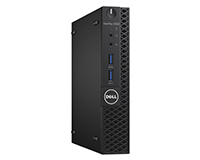 Available with an options Chassis Kit that allows you to bolt it onto the back of any VESA compatible display or use the Dell Chassis kit and mount it under a desk. Powered by seventh generation Intel Core processors. Multitask smoothly – Up to 16GB of Ram. Support for two displays DisplayPort, HDMI and VGA connectivity allows greater visibility of your tasks. There’s USB on the back and the front and six in total. Spread the cost of your PC’s with our computer leasing schemes for business users. Can’t find the computer your business needs to lease or hire then ask us.